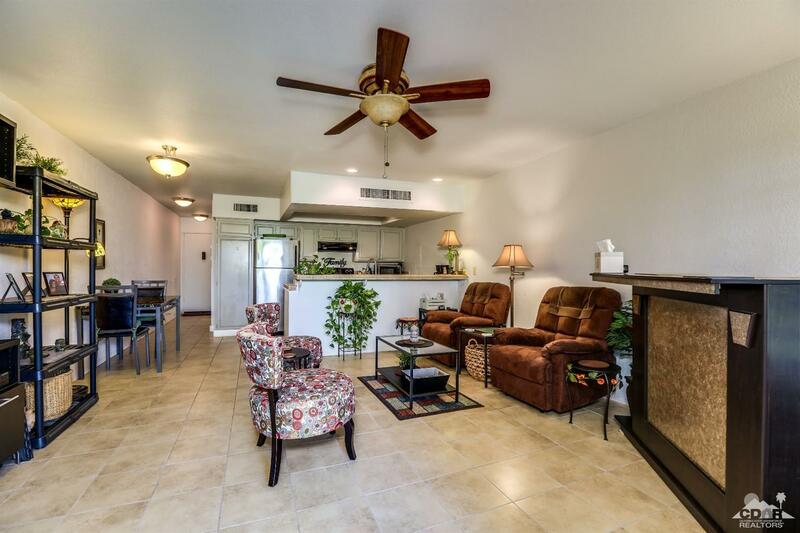 A desert gem with open floor plan, tile floors throughout, updated bathroom, plantation shutters, ceiling fans and storage closet off patio. The spacious covered patio looks out onto a beautiful lush greenbelt close to the resort-size pool and spa. The well maintained community, with awesome mountain views, includes lighted tennis courts, pickleball court, clubhouse, dog park, and bike storage. This is a prime location on the south side of Palm Springs walking distance to grocery stores, banks, post office, shopping, and restaurants. Resort living at an affordable price. Offered partially furnished.